I’m using the LINNMON desk with the OLOV legs. The desk faces out to people, where they can see the person’s legs, chair, and computer. Do you have any hack that I could use to create a “front” to the desk to hide said person’s legs, chair, and computer? I’ve yet to see an IKEA hack for a desk privacy panel but IKEA has a screen, the BEKANT screen which can serve the purpose. It comes in 2 different sizes. The smaller one (at 21 5/8″ tall) can be mounted at two heights to suit different needs. Furthermore, the screen also has the added benefit of sound absorption. I believe this is quite easily hacked with a wood panel and appropriate hardware. If you rather not hack, you can get ready made desk privacy panels. I found a few off Amazon, which seems quite easy to use. You’ll just need to fasten them onto the desk top, whether to block off the computer or below the desk. I quite like the frosted panel as it does not block out too much light and keeps the open, airy feeling. Or, get two of these screens. One for the top to block off the computer and one to cover beneath the desk. Just twist the screws and lock into position on your table top. More panels for more privacy and sound dampening. Add the panels to the sides too to create a cubicle like workspace. You can also hang the desk screen upside down to serve as a “modesty panel” that blocks the view beneath the desk. Let us know if you do successfully hack it. We’ll love to see what you come up with. Previous ArticleComputer desk from GULLIVER crib. Old IKEA cot gets new life. You could use the shelves from the HYLLIS shelving unit. Tip the shelves up on their side and they become privacy panels. Galvanized steel for an “industrial” look, but would not dampen sound as much as fabric. The shelves have pre-drilled holes so it should be fairly easy to screw them together and to the desk. Shelf dimensions match those of the desk so that you could have two shelves across the front and one on each side. To hide computer/desk top use four shelves, one on each end of the top of the desk and two along to top front of the desk. Screw together the shelves and then screw them to the desk top. To hide legs/feet, use two shelves on the front underside of the desk, then two shelves connected to the first two, and a third row if required. You could also extend the under-side privacy panels to the sides of the desk if you want. HON desk privacy panels are just attached with angle brackets to the underside of the desk, so really anything that could take a screw could be easily used. 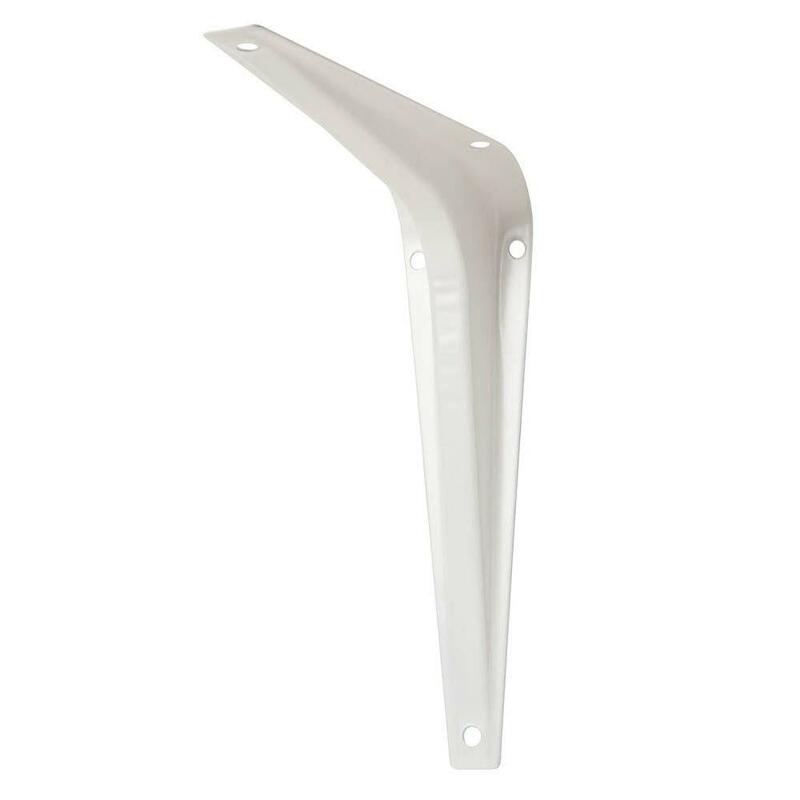 If you wanted it to be extra strong, you could use shelf brackets, which are essentially giant angle brackets.